One of the hardest things for me to wrap my brain around as a Christian is how a God who defines himself as love (1 John 4:8) and defines the greatest form of love as laying down your life for someone else (John 15:13) could lead Israel on a bloodbath in the Old Testament. Does God’s seemingly violent nature in the Old Testament change how Christians should see violence today? Does God’s violence justify ours? Christians reconcile Old Testament violence a number of ways. I’ll summarize a few of them. Some say God commanded violence because he is not just defined as love—he’s also holy (Leviticus 11:44–45) and the God of justice (Isaiah 30:18). The relationship between his attributes of love, holiness, and justice, in some instances drives God to condone or even require violence out of his intolerance for evil. This argument often leads to the claim that God used Israel to judge other nations like Canaan, and the Israelites were morally obligated to kill people because they had to obey God. And it’s not like God didn’t give Canaan a chance—he waited 400 years to judge them, until their “iniquity is complete” (Genesis 15:13–16). In the book Fight: A Christian Case for Nonviolence, Dr. Preston Sprinkle presents a different view. He suggests that Israel’s violent laws and perspectives on war and violence were far more tame than neighboring nations, and that while God permitted violence, it was not his desire for Israel to choose it. He also suggests that God’s order to “kill everything that breathes” and the fact that the Israelites didn’t do that (Joshua 17:13) indicates God did not actually mean “kill them all” (whereas others would argue that the Israelites simply disobeyed). The biggest component of this argument, however, is Jesus. If God in the flesh says to love our enemies (Matthew 5:44), how could God the Father ask his people to kill theirs? R.C. Sproul, however, says that “God’s instructions were as clear as they were brutal.” Sproul believes the command was rooted in God’s desire to protect Israel’s purity and to give Canaan the wages for their embrace of sin (Romans 6:23). Most explanations offer some variation of these, and there are entire books written about them (my one paragraph summaries can hardly do them justice). But when we see how Jesus tells us to treat our enemies in Matthew 5:44, these explanations don’t always make Israel’s treatment of their enemies much easier to swallow. Throughout the Bible, there’s a supernatural thread that often goes unnoticed when we read what’s physically happening through our modern eyes. Sometimes we simply have to admit that God’s ways are higher than our ways (Isaiah 55:9), but that doesn’t excuse us from learning what we can about what he’s doing in Scripture. You might even wonder why the Israelites had to drive them out at all. What’s the divine council, you ask? It’s the members of God’s heavenly host, who often play a role in making decisions or carrying out God’s plans in the Bible. We tend to overlook them when we read our Bibles—I’d never heard of them until reading The Unseen Realm—but they’re everywhere in Scripture. After the Tower of Babel, God supernaturally enabled Abraham and Sarah to have Isaac, beginning a new nation he would govern himself. This violence wasn’t just about the people who had been deceived by their gods and swallowed by sin. It was about putting these false gods in their place—false gods that, to the Israelites, were completely real, and totally committed to Israel’s destruction. Israel was God’s weapon against the corrupt sons of God, and Canaan was the armor those false gods wore against him. The land, through which we have gone to spy it out, is a land that devours its inhabitants, and all the people that we saw in it are of great height. And there we saw the Nephilim (the sons of Anak, who come from the Nephilim), and we seemed to ourselves like grasshoppers, and so we seemed to them” (Numbers 13:32–33). Canaan was inhabited by people who were not only ruled by sons of god that had rebelled against the Father, but spawned by them. Their very existence was a defiance of God and a threat to his people. Defeating the false gods of Canaan and claiming the promised land would require the genocide of giants. When the Israelites, naturally, were terrified of the Nephilim, their fear revealed a lack of trust in the Most High God’s ability to overpower the sons of God. To them, it was like God either didn’t know what he was up against, or he was too ignorant to see when he was beaten. God was more than a little insulted (Numbers 14:11). After Moses pleaded with God, he compromised, and instead of starting over with a new nation, he would start over with the next generation (Numbers 14:20–31). None of the Israelites who had seen God’s power firsthand and still had the audacity to question him would live to see the fulfillment of his promise to their nation. God would show the next generation of Israelites that they could trust him by demonstrating that he could do the very thing the previous generation had questioned. Before the 40 years of wandering was up, God led the Israelites to face their fears and take on giants. Heiser says, “In the context of Israel’s supernatural worldview, God had led the Israelites to the gates of hell.” And it was at “the gates of hell” that they would do what they refused to do in the Promised Land. Years later, Amos would say of the battle, “[the Lord] destroyed the Amorite before them, whose height was like the height of the cedars and who was as strong as the oaks” (Amos 2:9). As Israel’s leadership passed to Joshua, the Israelites would systematically hunt down the giant clans from Hebron, Debir, Anab, Judah, and Israel. “Only in Gaza, in Gath, and in Ashdod did some remain” (Joshua 11:22). The surviving giants would go on to haunt Israel for centuries, though most Christians today only notice the one who came from Gath and fought for the Philistines (Goliath). This bloody conquest was part of God’s plan to take back all people from the rule of false gods—his plan to use Israel to restore Eden. The survival of the Nephilim meant his strategy had failed. 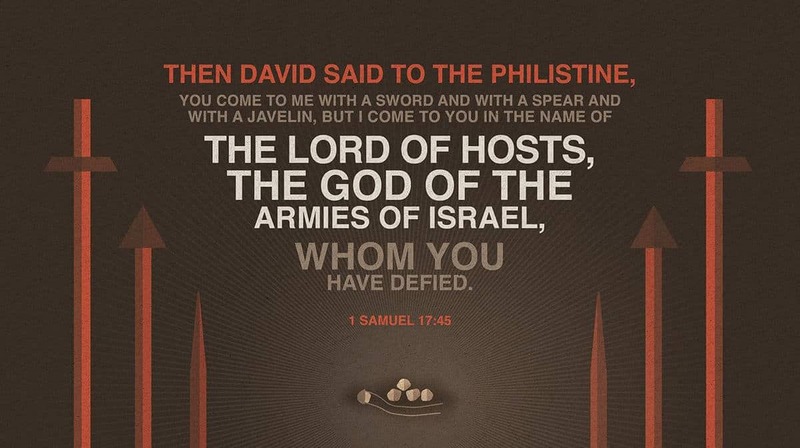 Israel’s failure didn’t mean God was giving up on his plan. He could still restore his Edenic relationship with humanity through Israel. But this failure did mean that it was time for a new strategy. God would later trick the sons of God into bringing about their own destruction, fulfilling prophecies they didn’t know were prophecies (like Isaiah 53). Heiser doesn’t gloss over Old Testament violence or try to brush it under the rug—he shows you how the ancient Hebrews understood it, and how vastly different that is from the way most Christians see it today. The supernatural worldview of the Israelites is a significant piece of the puzzle that most of us are oblivious to—simply because we’ve never heard it. If you want to fully understand what’s going on in your Bible, you have to see it through the eyes of the ancient Hebrews and the early Christians. So follow the supernatural trail of bread crumbs behind the Nephilim, the sons of God, and other seemingly bizarre passages in Scripture to see where the spiritual world collides with our own. In The Unseen Realm, Heiser presents an ocean of research and Bible scholarship about the divine council, the Nephilim, and a number of other bizarre supernatural elements in Scripture. In Supernatural, Heiser’s tone becomes more conversational, and he shows how the supernatural threads in Scripture affect you as a Christian today. Pick up a copy of Supernatural or The Unseen Realm today. Thanks for this insightful blog. It was helpful and thought provoking. Michael S. Heiser, when you say "God's plan failed", could you elaborate? Do you mean it from a middle knoweldge perspective, in that, before the foundation of the earth, He would have to work around the free will of Israel to disobey, which means that in an ideal world, he would have created a new Eden instead of doing it Himself? Nice article. I am reading the "Unseen Realm" now and am glad that scholars are embracing a more complex God. The fact that God has granted others similar power has by definition tied His hands in ways we are just beginning to understand. This is why I believe that even Christ said he did not know the day or the hour of the end. I believe as "Sons of God" we play a huge role in when this occurs and that while the final outcome is set, the path is being determined by Hus Church. He is slow to anger and wrath and we see God's amazing grace more each day. 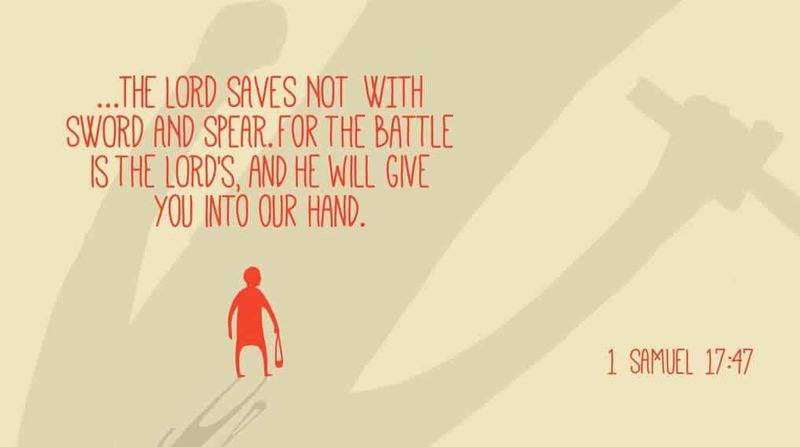 It is His will that none should perish, but we thwart God's will on a daily basis. How wonderful and great is God that He continues to abide with us with our many frailties. Amen. I can't speak for Dr. Heiser, but to me, that sounds pretty close. I think in light of Heiser's work, one of the things we generally miss is that the divine council and the “sons of God” have free will as well. God’s master plan has to work around not just our potential to disobey and fail, but the divine beings who are just as capable of disobedience, and perhaps more capable of deliberate sabotage. Are you asking whether or not that "failure" was intentional? I think it would be fair to say that in an ideal world, God wouldn’t have to restore anything—Adam and Eve wouldn’t have disobeyed either (and the divine being the the garden would not have rebelled against God either). But as for his plan to restore his Edenic relationship with humanity, if God knew beforehand that Israel would fail to obey, that would imply that the failure was actually part of a larger plan. This blog post was heavily based on chapter 9 of Supernatural, and in the chapters that follow, Heiser explains how God used Jesus to trick the devil and the corrupt sons of God into setting about their own destruction. It’s possible that the history of Israel and God’s use of violence to try to restore Eden in the past played a significant factor in misleading the sons of God as to how Jesus would restore that kingdom. They believed that by killing him, they would "win" and sabotage God’s plan again. Heiser isn’t saying that God’s overall plan had failed. Either this part of the plan was meant to fail in order for the greater plan to succeed, or God adjusted the means by which he accomplished his plan when Israel failed to do their part (which I suppose would depend on whether you believe God’s omnipotence means the future is also predetermined). In The Unseen Realm, I believe Heiser touches on the difference between God "preknowing" the future and predetermining it, using 1 Samuel 23:10–14. David asks God about a future event, God tells David the future, David reacts to that knowledge, and the event God predicted never happens. Again, I can’t speak for Heiser, and these are just my thoughts as a reader. I’ll see if he has time to respond. Could you clarify your question though? Are you asking about how Heiser sees the relationship between God’s omniscience and our predestination? Ryan Nelson Dude, thanks a lot for that answer. Really really well structured and thought out. I totally get it and find the view really convincing but hard to stomoch given the beliefs of most churches I have attended. You summed up my question perfectly. Thanks. It was a tough question, so I'm glad you found it helpful. This is challenging/thought-provoking material, but what you just said is exactly why Heiser wrote these books. It’s one thing for scholars to talk about this in peer reviewed journals, but this research hasn’t made it to the conversations we have in church. Without knowing specifically what beliefs you’re referring to, I can tell you that Heiser really wants to stress that his work is not challenging the fundamental views of the church, and that to Bible scholars, these aren’t even new ideas—he’s just spent the last 20 years or so curating everything scholars generally agree on about these passages and concepts. The story behind the books is pretty fascinating, really. These books are about recognizing the full scope of Scripture, seeing the spiritual layer of familiar events in the Bible, and refusing to skip over passages simply because they’re “weird” (which Dr. Heiser witnessed at least one pastor do while he was studying this). Ryan Nelson I think a lot of Churches I have been to have a very simple understanding of Scripture, which has its place, but fails to acknolwedge how deep the Bible goes with issues like the metaphysics of the spiritual realm and so on. It is really interesting and challenging to think about. It makes me think it is probably well worth doing some sort of postgraduate education on in theology/biblical studies to gain a richer understanding of the word. I’d like to go on record to say this and I hope that those who don’t understand will come to understand. All who say they are Christians are not christians, the only full fledged Christian is he who laid down his life for everyone so that everyone would be saved, not just Jews, Gentiles or Protestants nor any one nation of people or culture, I think people should stop calling themselves christians unless they are living up to the full capacity of life that Jesus himself did. Mr. John, so what is your main point in writing that Semites are descendants of Shem in relation to this article ? What are you saying ? About the Giants ? I've been reading this book and most of it is excellent, however, I am concerned when T read Heiser say that one of God's plans failed because His people were dissobedient: "As Israel reached the final stages of failure, God announced through the prophets that plans had changed." My understanding is that before the foundations of the world God's plan was always Christ. Heiser, M. S. (2015). The Unseen Realm: Recovering the Supernatural Worldview of the Bible (First Edition., p. 216). Bellingham, WA: Lexham Press. Ryan Nelson, my concern is in the language Heiser uses when He states that God has changed His plans: "As Israel reached the final stages of failure, God announced through the prophets that plans had changed" (p. 216) My understanding is that before the foundation of the earth God's plan was Christ. God set before Israel many challenges: If you will then I will, teaching them that they were unable to restore the earth and deal with the consequences of sin because sin had entered into them. "In Him there is no shadow of turning" What am I missing? Now I see why they were all destroyed. I hope that Dr. Heiser never gives up on God's plan of human partners in the rule of the earth that He established in Eden. Genesis 18:19 (ESV) For I have chosen him, that he may command his children and his household after him to keep the way of the LORD by doing righteousness and justice, so that the LORD may bring to Abraham what he has promised him.” The promises to Abraham of resurrection and being heir of the world will be fulfilled to him when his descendants obey God (not necessarily the Law). The hard sayings on the New Testament are mostly about the level of "doing righteousness and justice" or "walking together in love" required of the generation which is offered the right of receiving the Kingdom "at hand." Not post-Millenialism, but people freely volunteering in the following God's great leaders to victory. The answer to this Dilema is found in Genesis 15:13–16. God had patiently worked with the nations around Canaan to get them to reform, but they would not. God in his long suffering mercy gave then 400 years from the time of Abraham until the time that the Israelites were to enter Canaan, the promised land. When the Amorites denied Israel peaceful passage through their land to enter cannan, the door of mercy was closed for them and the judgements of God fell on them and they were destroyed. Likewise for the rest of the nations that inhabited the Land of Cannan. Many of these nations were decendants fo Abraham and Jacob and were not completely ignorant of God himself and his laws, but they had rejected God. Like wise with Sodom and Gomorah, their wickedness had reached heaven, their cup of iniquity was full and they were set for destruction. God's purpose in this is that God's people are weak and cannot keep company with such sin in the complete disregard for God and his laws. If God's people were to inhabit the land of Canaan they could not live in harmony with sinners that practiced Idolatry and had a complete disregard for God and his laws. The Israelites were commanded to utterly destroy the inhabitants of the land, so that they would not be taught, nor learn to practice Idolatry. Unfortunatly for the Israelites the did not obey the command of God and allowed some of the Canaanites to remain. The history of Israel is now clear, their biggest failure was not obeying this command. They were led into idolatry and eventually God had to disposses them of their land. They were exiled into Babylon for 70 years. What could have been avoided if they had only obeyed the command of God? What some see as violence, God sees as mercy. Mercy for the good of those who love him and keep his commandments. I forgot to include Dt 20:17-18 17 But thou shalt utterly destroy them; namely, the Hittites, and the Amorites, the Canaanites, and the Perizzites, the Hivites, and the Jebusites; as the LORD thy God hath commanded thee: 18 That they teach you not to do after all their abominations, which they have done unto their gods; so should ye sin against the LORD your God.